Lawmakers passed a bill that requires a study of solitary confinement in Texas prisons, but the panel charged with hiring a third party to conduct the research does not have money to fund the study. Last year, lawmakers approved and Gov. Rick Perry signed a bill that requires a detailed review of the use of solitary confinement in Texas prisons. Four months after the measure became law, though, the committee charged with hiring an independent party to study solitary confinement in the Texas Department of Criminal Justice hasn’t met and has no intention to. “The oversight committee is not funded or active,” said Larance Coleman, policy director for the Texas Senate Criminal Justice Committee. Now, advocacy organizations are working to find dollars to pay for the study they say is critical to understanding how often solitary confinement is used, how it affects inmates and how much it costs the state. “We haven’t given up,” said Cindy Eigler, policy specialist at the Texas Interfaith Center for Public Policy. Senate Bill 1003, authored by state Sen. John Carona, R-Dallas, requires the Criminal Justice Legislative Oversight Committee, “subject to the availability of funds from gifts, grants and donations,” to appoint an independent party to review the use of administrative segregation, also known as solitary confinement, in state juvenile and adult facilities. The independent reviewer is supposed to report to lawmakers in December with recommendations to reduce the use of solitary and to divert inmates with mental illness away from it. “Texas has the second-largest administrative segregation population in the country, with over a quarter of the people in there with mental illness,” Eigler said. According to a legislative analysis of the bill, the Texas Department of Criminal Justice housed 8,784 inmates in solitary confinement in 2011, or about 5 percent of the total prison population. More than 2,000 of those inmates were diagnosed with either serious mental illness or mental retardation. Reducing the administrative segregation population by half could save the state as much as $36 million annually, according to an estimate by Texas Impact, a faith-based organization that advocates for social justice. “It’s a very important issue both from a fiscal responsibility sense and also from the perspective of little things like humanity and the Constitution,” said Brian McGiverin, an attorney at the Texas Civil Rights Project. He said his organization is planning to file a lawsuit against the prison system over the provision of what it argues is inadequate mental health care for inmates. 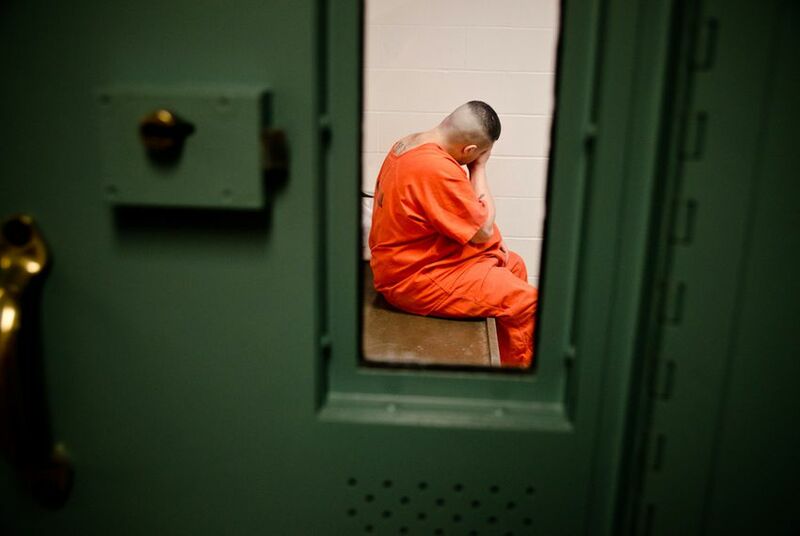 The bill also requires the Texas Juvenile Justice Department to review the use of solitary confinement in local facilities that house youth offenders. Spokesman Jim Hurley said the agency is developing a plan to gather information. The problem with studying solitary in the adult prisons is that the Criminal Justice Legislative Oversight Committee has no funding to meet or to pay staff to write a request for proposals, much less to hire a third party to conduct the study. Coleman said the committee hasn’t been funded since at least 2009. The Legislative Budget Board estimates implementing the law would cost less than $128,000. Eigler said she and other advocates are working with lawmakers to search for grant funding opportunities and research organizations to try to get the study done. “It’s really silly not to study it,” McGiverin said.